Ask anyone yesterday, and the answer would have been that Chris Cornell had seemingly survived the sort of demons that had consumed so many rock 'n' roll stars before him, including fellow founding members of the very Seattle grunge scene that birthed Soundgarden in the 1980s. So when people started to wake up this morning to news that Cornell had died at the age of 52, the grief that started pouring out from his fellow artists and legions of fans was palpable. A few hours later an autopsy confirmed that Cornell had committed suicide by hanging himself. And as the tributes to his musical prowess are written—his was considered to be one of the greatest voices in rock, a booming yet nuanced voice capable of leading a headbanging frenzy in a packed stadium and commanding silence with an unplugged ballad—the feeling of shock will be unshakable. After all, he died in the middle of a tour, hours after Soundgarden performed at Detroit's Fox Theatre. Only in hindsight does Cornell's final bit of creative license onstage, mixing in a bit of Led Zeppelin's "In My Time of Dying" with his band's "Slaves & Bulldozers," seem fraught with meaning. Though it's unclear whether he knew about Cornell's tribute, Led Zeppelin guitarist Jimmy Page tweeted upon hearing the news, "RIP Chris Cornell Incredibly Talented... Incredibly Young...Incredibly Missed." Sources told TMZ this morning that Cornell's wife of 13 years, Vicky Karayiannis, has been telling people around her that Chris had been showing no signs of depression, much less indicating he was suicidal in any way. Moreover, she reportedly said, it was unfathomable he would take his own life because he was so devoted to his three children, son Christopher and daughter Toni with Vicky and daughter Lillian Jean with his ex-wife, Susan Silver. And as far as any identifiable outward behavior went, that is often the case. Soundgarden, which had reunited in 2010 after more than a decade apart, was reportedly recording its first new album in five years. Audioslave, which Cornell formed with Tom Morello in 2001, played its first show together in 12 years just months ago for Prophets of Rage's political protest affair, the Anti-Inaugural Ball. Cornell even did a stage dive and was comfortably caught by dozens of outstretched hands. Between Soundgarden, Audioslave and his five solo albums, Cornell seemed to almost never be not working throughout the course of his three-decade career. Though they had already been rocking out for a decade beforehand, Superunknown, their fourth album, put Soundgarden on the mainstream map in 1994, debuting at No. 1 on the Billboard 200 and going on to sell more than 9 million copies. The haunting, doll-head-melting video for the smash-hit track "Black Hole Sun" won Best Rock Video at the 1994 MTV Video Music Awards, and the band won two Grammys in 1995, Best Hard Rock Performance for "Black Hole Sun" and Best Metal Performance for "Spoonman." But though Chris Cornell was the consummate rock frontman, from his scruffy handsomeness to his booming gravelly voice and magnetic stage presence, it was making the music that consumed him, and while he wholeheartedly appreciated his fans, he didn't love the scrutiny that accompanies fame or the expectations and pressure that goes with being known for a certain type of music. "It's about trying to step out of being patterned and closed off and reclusive, which I've always had a problem with," Cornell told Rolling Stone in 1994 nine months after Superunknown catapulted Soundgarden to the next level of success, explaining the meaning behind the song "I Day I Tried to Live." "It's about attempting to be normal and just go out and be around other people and hang out. I have a tendency to sometimes be pretty closed off and not see people for long periods of time and not call anyone." With Kurt Cobain's suicide on April 5, 1994, still fresh in everyone's mind, and fresh off the smash success of Superunknown, Cornell (who was a huge Nirvana fan but didn't consider himself a friend of Kurt's) also told the magazine that it was "hard not to be a little bitter" about the commercialization of Seattle as this whole grunge music "scene." "We lost good friends in the process," he said. "And all of a sudden you realize that it's turned into something that's considered a fashion statement. It's like mining. It's like somebody came into your city with bulldozers and water compressors and mined your own perfect mountain and excavated it and threw out what they didn't want and left the rest to rot. It's that bad." He continued, "All of a sudden you see it on TV, and people that you know and love are getting the wrong idea because of what they saw on the news. You can't help but think that somewhere, somebody's been robbed. And I don't even think it's me. I think it's everyone." "We've always been fairly reclusive and damaged," he said of himself and his band mates. Though Cornell considered Soundgarden a bit removed from the Seattle machine, he was proud of where the band came from. "But outside of the people that were involved with the Seattle scene when it was happening, the rest of the country and the world and probably a lot of the bands that play in Seattle now think that what the Seattle scene was about is Soundgarden, Pearl Jam, Nirvana and Alice in Chains—guitar-based rock with punk influences and '70s influences. Period. End of story. And that's so far from what was going on." His perspective would evolve in the ensuing decades, but, perhaps rooted in his hard-fought beginnings to get his band off the ground, Cornell the singer-songwriter always felt somewhat at odds with Cornell the rock star. "I was always the kid who listened to records on my own, in my bedroom, spending hours focusing, always gravitating to deep album tracks and those weirder ones. That was kind of my thing," he reflected to TheStranger.com in 2015 while talking about whether he had mixed feelings about commercial success. "And if one of those made it on the radio, it was always a little bit surprising. The same way it was surprising to me when 'Black Hole Sun' was a single when everybody seemed to unanimously choose it as one. I don't think we thought of it as a song that would make it on the radio." Ultimately, touring as a solo artist, whether he was singing stripped-down versions of his songs that were his own, Soundgarden's or Audioslave's, helped him reconcile what could be misconstrued as his competing sounds. Going acoustic or thereabouts "brought it all together under one umbrella, and I started to feel like, oh, that's who I am," he said. "It's not a mystery. It's not a puzzle to solve. I'm this guy, and that's my entire history." Soundgarden broke up in 1997 and Cornell immediately got to work on his own solo debut, 1999's Euphoria Morning (16 years later he changed the spelling to the originally intended Mourning), then headed out on tour. But while he would later say that he never wrote—effectively, anyway—while under the influence of any substance other than coffee ("always my biggest vice"), Cornell's issues were starting to catch up with him. "Alcohol's the only drug that affects your entire brain," he mused in an interview years later about why being under the influence and writing didn't mix for him, as it has for many creative types. "It would do this one thing, I suppose, that's good for someone in terms of the expressionism, which kind of relieves you of your fear, and you become less inhibited. But then for me, for whatever some reason, the doors that need to open to where it becomes almost like I'm the conduit to something else, it's not just a construct—that just doesn't open up. I think alcohol dumbs, whatever that is, down...And other drugs too. Nothing ever made me more inspired, or more able or more capable as a songwriter. "It's not like I didn't try. I wrote things drunk before. I just made sure nobody every heard them or saw the lyrics," he laughed. "I would destroy it." He went to rehab in the early '00s but didn't talk much about it until years later. "I went through a serious crisis with depression where I didn't eat a whole meal every day. I was just kind of shutting down," he told Seattle PI in 2006, talking about the period after Soundgarden broke up. "I eventually found that the only way out of that was to change virtually everything in my life. That was a very frightening thing to do, but it was worthwhile... "
Rehab "was something I didn't want to do and I guess I was intimidated by it. I thought I was smart enough and that it wasn't really necessary. But it got to the point where I had to do something." He told the U.K.'s Mirror in 2012 that rehab was inevitable, even if Soundgarden had initially stayed together. Cornell described his battle with substance abuse as "a long slow slide and then a long, slow recovery—but there was self-discovery too...For me it was mostly alcohol—from my late teens until my late thirties." One of the reasons that so many people were unaware of what plagued him was that Cornell barely missed a beat as far as his musical output went—a fact he acknowledged to the Mirror. "I came out of rehab," he recalled, "and immediately went on tour with Audioslave, sold millions of records and was playing in front of crowds of 10,000 or 20,000. It's not what most people go through. Most of the time, coming out of rehab people have a destroyed life, struggle to just work again and get a job. "I sort of had an identity sitting there waiting to be embraced. I was very lucky I was able to see that and not take it for granted. It helped me climb out of the mire. I saw how hard it could be." Cornell met Vicky in Paris and lived in the City of Light for a time, at one point opening a restaurant (he had held restaurant jobs and worked as a sous chef in his struggling-musician days) called Black Calavados with his wife and brother-in-law while he was also making music with Audioslave. A few years ago, the Cornell family relocated to Miami. "I wasn't sure how that would work, being creative here, living here, writing here," he told the Tampa Bay Times about his new home in 2015. "But I just started doing that, and it seems to be doing great." 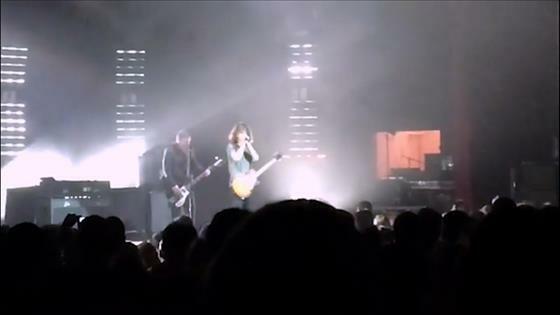 Soundgarden reunited in 2010, but Cornell also continued to record and tour as a solo act. Asked in 2015 about changing the name of his 1999 album Euphoria Mourning to its originally intended, more morose spelling, he told Rolling Stone that the record company had preferred "Morning," thinking it would cause less confusion. "It was a pretty dark album lyrically and pretty depressing, and I was going through a really difficult time in my life," Cornell recalled. "My band wasn't together anymore, my marriage was falling apart and I was dealing with it by drinking way too much, and that has its own problems, particularly with depression...But mentally I wasn't together enough to really know what was right. So I went with 'Morning,' and it's bothered me ever since." His own struggles made him particularly attuned to the unsuspecting ease with which tragedy could strike those who seemingly would have more lifelines than most. Asked about the impromptu cover of "I Will Always Love You" that he sang at a fundraiser for Barack Obama in 2012 that was held a few days after Whitney Houston's death, Cornell told Vulture, "There are a lot of feelings in people who are stars who had an effect on a lot of other people. Anyone that suffers depression and addiction, as it relates to the entertainment business, often there can kind of be a cocoon [around them]. "Though you would imagine someone like that would have more resources to get better, it can often be the opposite. You're kind of enabled to continue whatever lifestyle it is. There's sadness to anyone that dies before their time, and specifically ones that seem to affect people in a positive way. It doesn't matter if it's Whitney Houston or a nameless, faceless person on the street. That's just as big of a tragedy for me." He was also very aware of the sad endings that had befallen so many fellow musicians, not least of them the ones who got their start in his hometown, such as Cobain and Alice in Chains' Layne Staley, who died of an overdose in 2002. And it seemed, including to those close to him, up until less than 24 hours ago, that Cornell was not facing down the kind of pain that can get the better of anyone, no matter how big the success or how loving the family. "There's something about losing friends, particularly young people, where it's not something that you get over," Cornell told Vulture. "I don't believe there's a healing process. How do you, really? In what way can you stop and say, 'Well, it's god's will.' I always thought that line I've heard a million times—twice as bright but half as long—is bulls--t. It's tragedy. I just carry all of that with me all the time. "All I can do, if anything, out of respect for my friends that are no longer here, is to do my best to lead a good life and and take advantage of the fact that I'm still around, take the opportunities I have that they should've had."